Shackleton, Bligh, Slocum … Queen Bee. Queen who? OK, it’s a stretch, but when it comes to improbable small-boat voyages there should be an asterisk or footnote somewhere in the dusty annals of maritime history pointing to the unusual journey of a little boat named Queen Bee. When I spoke with Regulator president and co-founder Joan Maxwell last winter, the boat had just been found and she hoped that the company would be able to clear the hurdles and bring Queen Bee home. It took about six months, but the wanderer is back in Edenton, N.C., where she was built in 2003. 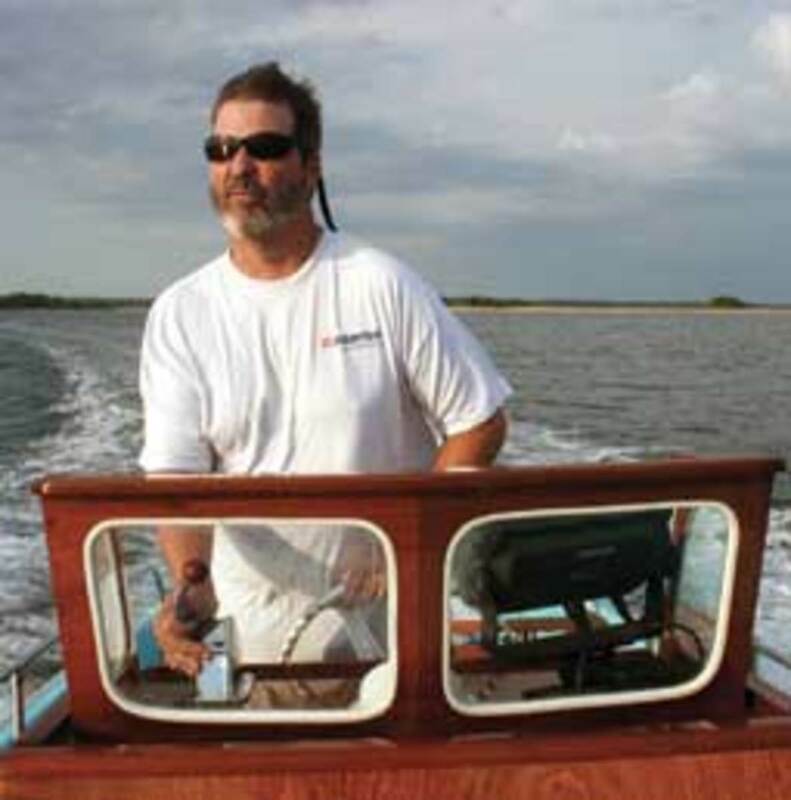 The company has long had a reputation for building tough boats that can run in the rough stuff. The re-emergence of Queen Bee puts an exclamation point on it. The boat was found with the cowlings off the engines, the T-top frame bent and most of the hatches missing, but the console was intact and the liner was in the boat. So were the electronics and the batteries, which were in their boxes. Maxwell says there is evidence that something might have hit Queen Bee about a third of the way down the port side at some point in her journey. The clues include fiberglass crazing, some T-top damage and a missing deck cap. “Maybe she got hit by a ship,” Maxwell says. That story will remain between the boat and the sea. 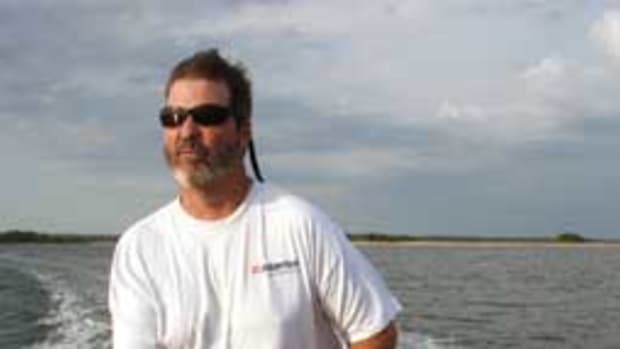 It’s a remarkable story and one that really got under way in dramatic fashion off Nantucket in August 2008, when a large breaking wave knocked owner Scott Douglas and his brother-in-law, Rich St. Pierre, out of the boat. Both men are fortunate to have made it to the beach alive and kicking. The boat was last seen headed east. 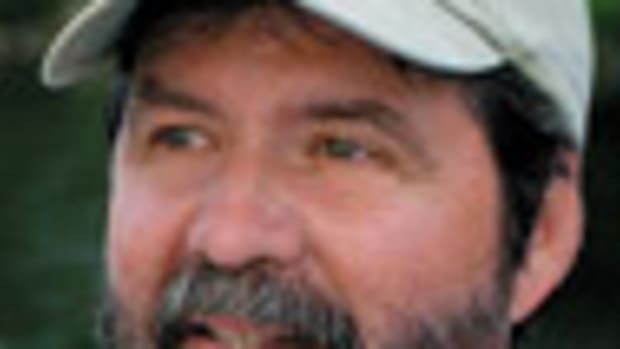 The survivors and the boat were scheduled to be reunited in late August at a welcome home party of sorts that Regulator was throwing in Edenton. If you’re on the boat show circuit this fall, you might get a chance to see Queen Bee at a show. Maxwell says the boat is not going to be spiffed up; Queen Bee has earned her bumps and bruises and will display them proudly. Once the tour is over, Maxwell says, Queen Bee will reside, high and dry, for the next five years at the Nantucket Shipwreck & Lifesaving Museum, an appropriate home for a little boat that became a full-fledged ocean gypsy.